•	The thermostat is called the brain of the HVAC. It is here that you set the temperature. It directs the unit to generate the temperature set by you. Therefore a technician should check if thermostat is working and it is calibrated properly. If they run out of battery they should be replaced. •	A HVAC contains an entire spindle of wires connected to various terminals. The terminals should be checked properly to determine that the wiring have not become lax. Loose connections are dangerous. The can cause shorts that can lead to fire hazards. Wiring problems can also result in improper operation that can shorten the life of the HVAC. 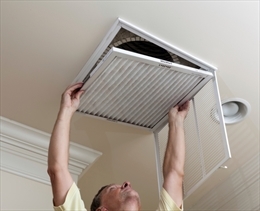 •	A HVAC contains many moving parts. These are to be lubricated form time to time. Otherwise too much friction in those parts can lead to overheating. Oiling will smooth up the operation, decrease electricity use, and lower your energy bills. •	An air conditioner will produce a good amount of condensate daily on account vaporized and high pressure refrigerant that is cooled to give out heat. This condensate usually collets in a pan and is drained out. However, the drain gets clogged sometimes due to formation of algae. This blockage can cause the drain to overflow and damage your unit. The drain should be checked during the tune-up to ensue if it is draining properly. 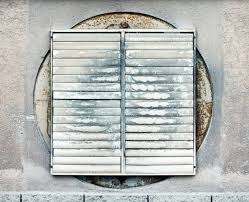 •	The blowers should be adjusted to enable the unit operate at peak efficiently. Imperfect blower can reduce its efficiency by 15%. The evaporator and condenser coils should be cleaned of debris and gunk for efficient operation. This also helps to reduce electricity bills. •	The refrigerant charge should be checked mandatory. If it is too low then the refrigerant line should be inspected for leaks. In case of leaks repairs should be undertaken ASAP. •	Poor gas or oil connections can cause a fire hazard. Chimneys should be checked for back drafting. The exhaust fumes should be able to escape your house properly. The furnace should be inspected for proper pressure, a dirty burner, or a cracked heat exchanger. Cracked heat exchanger can cause carbon monoxide poisoning.